Microchipping has become a very popular and safe way to permanently identify your pet and you as the owner in the unfortunate case that your pet is lost. 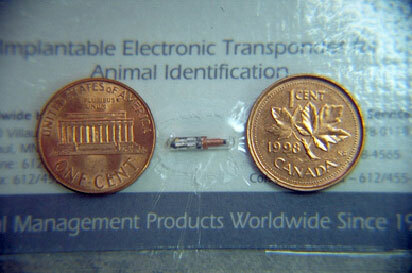 In most mammals, microchipping involves placement of a small electronic chip the size and shape of a grain of rice just under the skin in the neck area. A needle is used to inject the chip. The injection is comparable to a regular vaccine injection. If your pet becomes lost and is transported to a humane society, animal shelter, or a veterinary clinic, they will be able to scan your pet for the chip and contact you. The scanner is similar to a scanner found in the grocery store. We advise you to use this system of identification on your pet. Microchipping is the ideal way to identify all of your animals, including pet birds. Problematic leg bands can be removed at the same time that microchips are placed. Ask your veterinarian about microchipping your exotic pet.